A Bundle of Slurpy Bouquet! 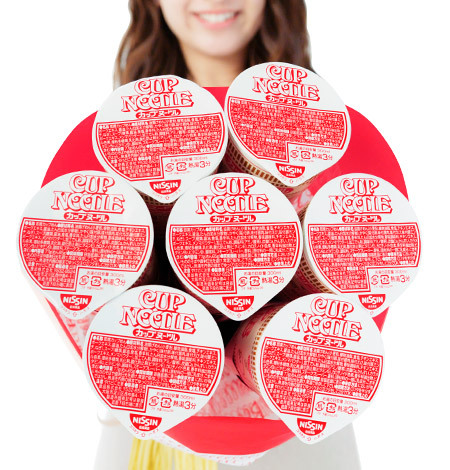 How about a Cup Noodle Bouquet on Valentines Day? With specially designed wrapping paper and a thoughtful meaning behind each colorful bouquet, your loved one will burst in tears of happiness when they receive such bouquet from you. 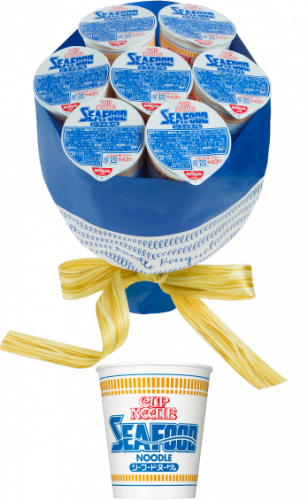 Discover feelings deeper than the ocean with Nissin’s Seafood flavored bouquet. 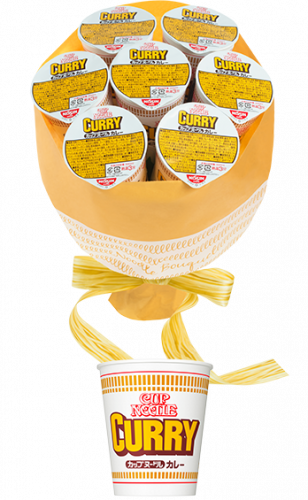 Spice up your relationship with Nissin’s Curry flavored bouquet. 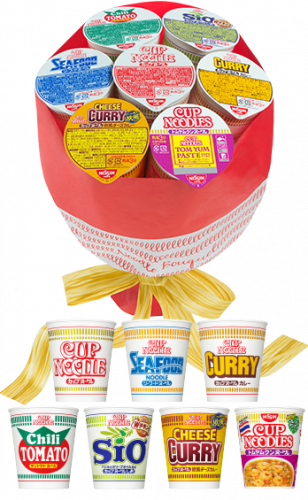 Or simply surprise your lover with a variety of 7 flavors packed in one bouquet, there’ll at least be one flavor that both of you will enjoy!